This February 14th, the United States will be marking a tragic anniversary. It has been one year since 17 students and teachers were killed at the Marjory Stoneman Douglas school shooting in Parkland, Florida. While likely the survivors, friends and families of those killed can viscerally recall every detail of that day, far too many Americans do not. School shootings happen so frequently now. Those of us who were not there confuse the faces of the killers, and rarely remember the names of the innocent victims. The reporting of the casualty count after a mass shooting drives the round-the-clock news stream. For those of us watching, the death toll becomes akin to a video game score. And that is an important part of the problem. We shake our heads, complain about legislators not doing anything about guns, and then we move on to sports. Mass murder has become as common as a weather report. The arms sales go on, and the money continues to flow from the gun lobbyists to our representatives. This process repeats with each subsequent shooting. Incomprehensibly, in the aftermath of the Parkland massacre, just as with Sandy Hook and Columbine, the sale of semi-automatic weapons increased between 2%-3%. It’s as if the shooting of children serves as an advertising campaign for gun manufacturers. How else is it possible that someone hears that a particular weapon killed children, and is immediately compelled to go out and purchase that same weapon? The sick truth is gun industry lobbyists, media shills and politicians all profit from these shootings. These vultures see business opportunity. Instead of gun reform, they promote the ludicrous notion of arming teachers. But they are not there when public schools routinely hold active shooter drills, where we teachers lock our doors and hide our students in closets and under desks. Our students are subjected to this anxiety and emotional distress because it is easier to teach them to hide from a sociopath than to enact common sense gun control. 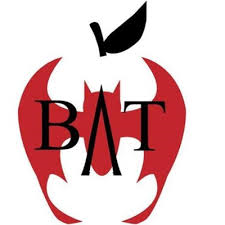 Then there is the lack of resources allocated to addressing the at-risk students who demonstrate the red flag-predictors of dangerous behavior. It is far more common for schools and law enforcement to ignore the warning signs of a troubled child than to take measures to prevent violence. We watch as our elected representatives act as puppets for the gun lobby, and tout the sanctity of the Second Amendment. But make no mistake: this is not about Constitutional rights. This is about the cycle of fear perpetuated by the gun manufacturers and profiteers of these weapons, and our insatiable media consumption. This is about a profound and delusional sickness of Americans. And it is why we are on a course to live through even more of these mass shootings. When in the hell will we stand up as a people, in one voice, and say enough? The Parkland students have been unwavering in their determination to not only burn that day’s murderous events into our collective memory, but to do their damndest to prevent it from happening again. They have made their families, classmates and teachers proud. They have forced the dialogue away from the meaningless “thoughts and prayers” condolences, to unrelenting activism in the names of their murdered classmates and teachers. That day they were survivors. Today, they are organizers, leaders and inspirations. Emma González , David Hogg and parent Joaquin Oliver, among others, have confronted the 2nd Amendment defenders head on. They have withstood attacks from conservative pundits and comedians who have gone so far as to malign the Parkland student activists, in an effort to distract from their message and assuage the NRA. They speak out at rallies and marches, in media, and in front of legislative assemblies. They persevere in speaking for those whose voices have been silenced -- and those whose lives will inevitably be taken in future school shootings, unless there is a true paradigm shift. The students, parents and teachers of Parkland have tried their best to force change. Yet the blood of our children and their teachers continues to be shed in our schools. 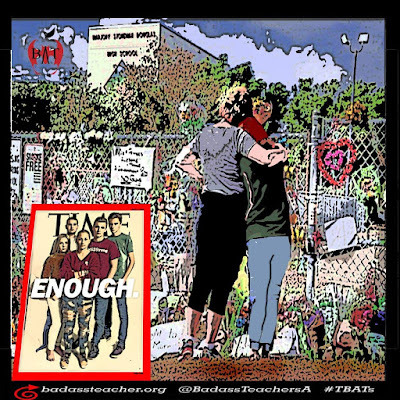 We, as educators and parents, must follow the lead of the Parkland students. We must protest in the streets and at the state houses. Bombard our legislators, especially those who accept NRA donations. Make them political pariahs for accepting blood money. But this is not enough. We need to hit the weapons industry, and their lobbyists, where it hurts the most: their stock value. Corporate America may not care about the deaths of children, but they are concerned with their profits. We may not be able to buy enough politicians to change gun laws, but we as consumers, can financially damage the companies that support the NRA with the same vengeance as the mass murderers target our children. This is rally amazing Post, I recommending to read every student of the world.